The home of creative blogging! 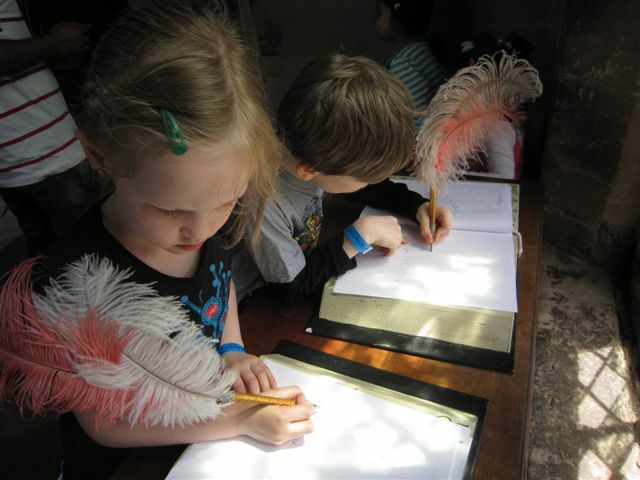 Last Saturday my family and I travelled to Warwick Castle to meet Mike the Knight as part of a weekend organized to celebrate series two launching. 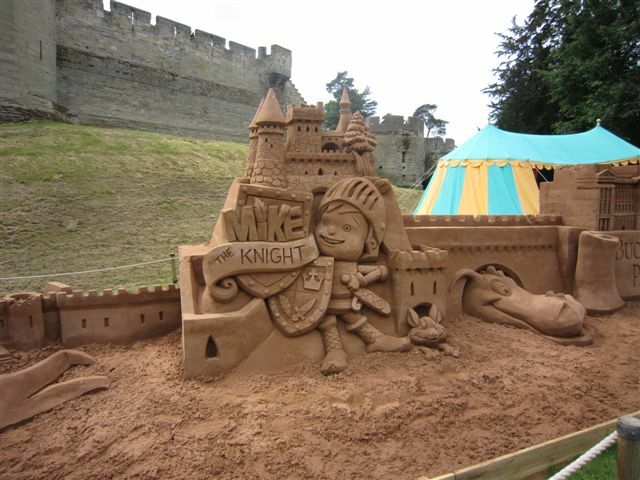 The castle in conjunction with Hit Entertainment had arranged a selection of Mike themed activities. 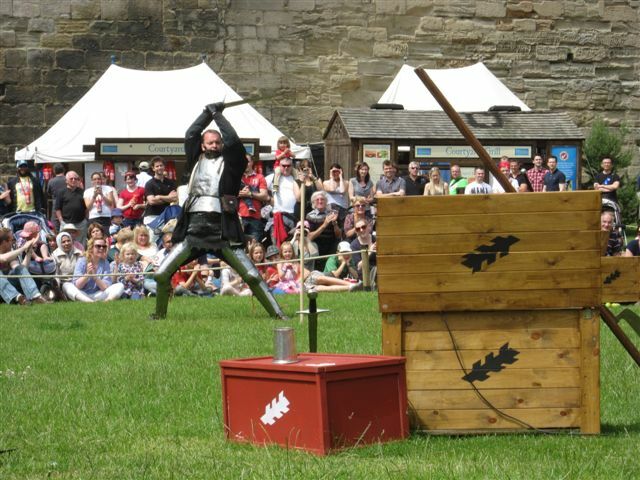 If you fancy crying ‘Be a Knight, do it Right’ Mike will be back at the castle again this coming weekend (6-7 July). To say my children were excited would be an understatement, however my heart sank when I saw a queue at the castle ticket office (I imagined hours of waiting in line for each attraction).Thankfully this was not the case as everything was very well organized and only the Face Painting had a long queue. 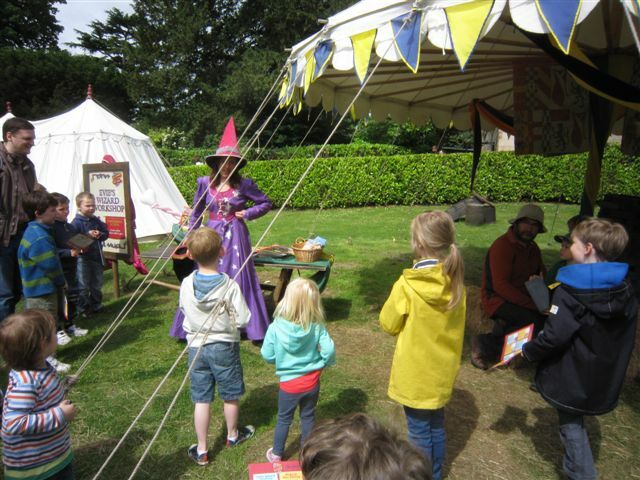 The Mike the Knight area was set in little Medieval style tents and children were given booklets listing all the activities. As each activity was completed they were given a sticker and if they finished them all they received a prize (it’s a flag). The adults in charge of each event stayed in character throughout and seemed genuinely enthusiastic about the kids having fun! My little knights started by taking a Wizard Workshop with Mike’s sister Evie. They watched as she pulled things out of a bag and helped her to cast magic spells and create something out of thin air. Next they took to their (hobby) horses and galloped to victory in a race. 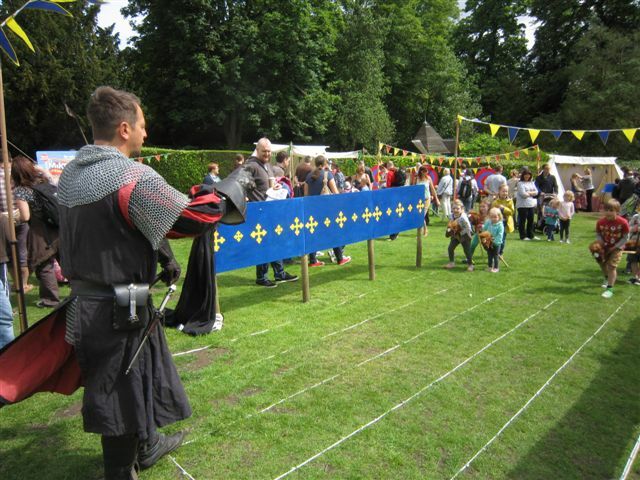 The Knight in charge of this event had all the parents in stitches as he organised our kids; he had endless patience as they ran in the wrong direction, set off in twos or just generally caused chaos! A little castle building, target shooting and face painting later we made an orderly queue and waited to meet Mike himself. 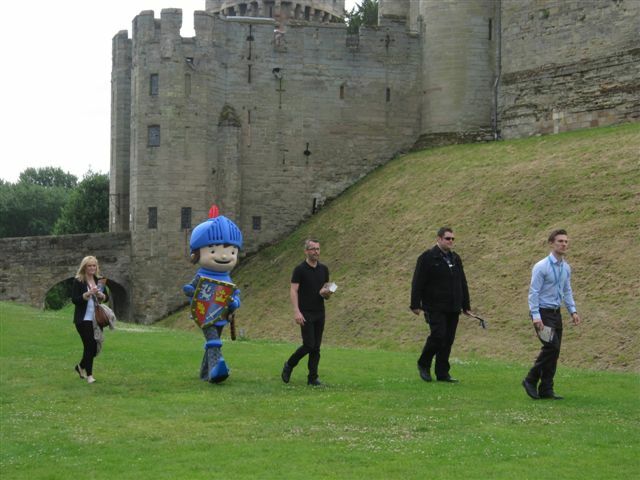 He stood happily as each child came to meet him in front of the beautiful castle backdrop! 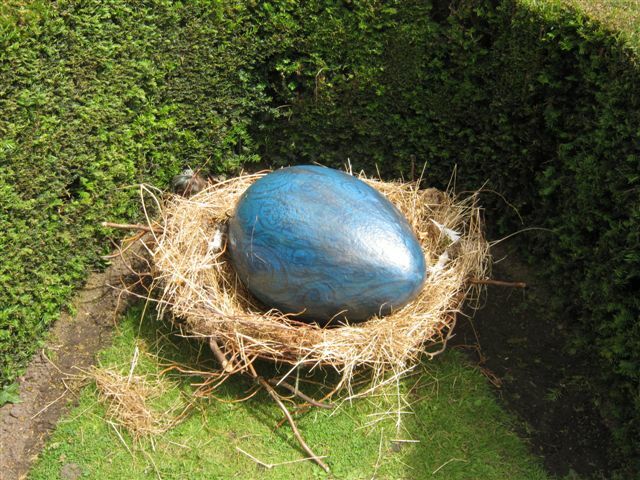 Everywhere we walked the Mike the Knight theme tune played through speakers concealed in bushes and trees 🙂 We finished by joining Sparke and Squirt’s Dragon Egg Hunt. This went all over the grounds and certainly gave the children some exercise (and the parents a chance to admire the views). We all had a fabulous time and if you have any Mike fans at home I thoroughly recommend going to meet him. That wasn’t the end of our day though, we had the whole of Warwick Castle to explore! I have many childhood memories of visiting the castle and after reading some reviews online I wondered if I would still enjoy it. I did 🙂 The castle sometimes receives criticism for being part of the Merlin group and people accuse it of being more like a theme park than a historical monument. However I feel this couldn’t be further from the truth. Yes it is owned by Merlin, yes there are photos you can buy and gift shops to visit but the Castle is very much aware of it’s past and importance in British history. 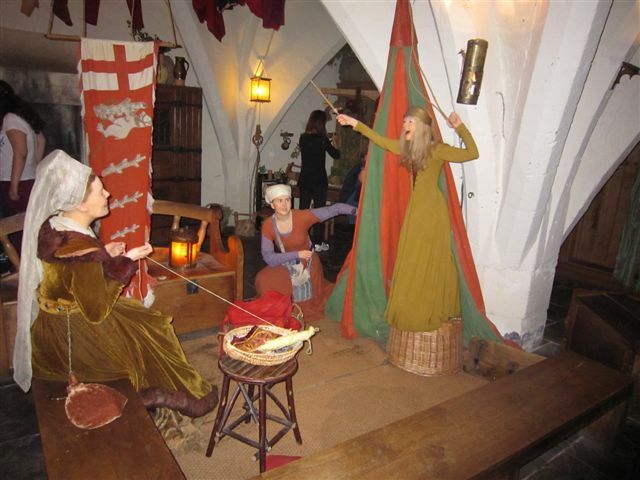 There are little rooms all around the walls with wax figures dreaming on the eve of battle, or ghosts squealing down staircases. 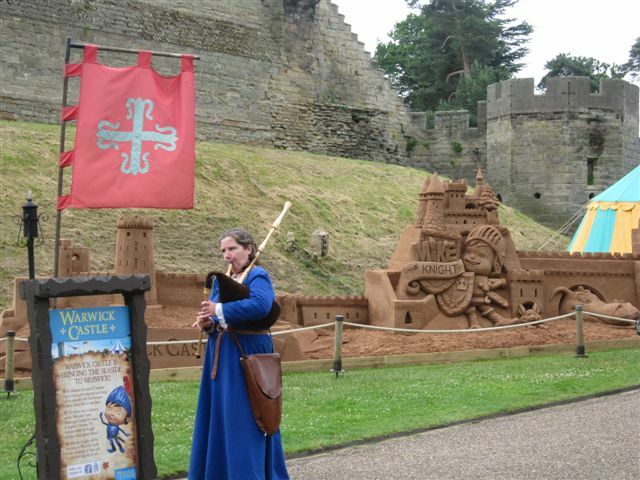 I suppose this might not be to everyones taste, but for a child this really brings the castle to life! There’s no standing around looking bored while Mum and Dad read a plaque on the wall, here they can watch the story unfold and get involved with the action. We visited the Princess Tower, where my daughter was picked to test a stack of 7 mattresses to see if she could feel the pea (she could, she’s a princess! 🙂 ). We went through the Merlin Tower where my son was spoken to by a dragon and somehow they knew my daughter’s name and warned her to use her powers for good (she was astounded and promised faithfully that she would). 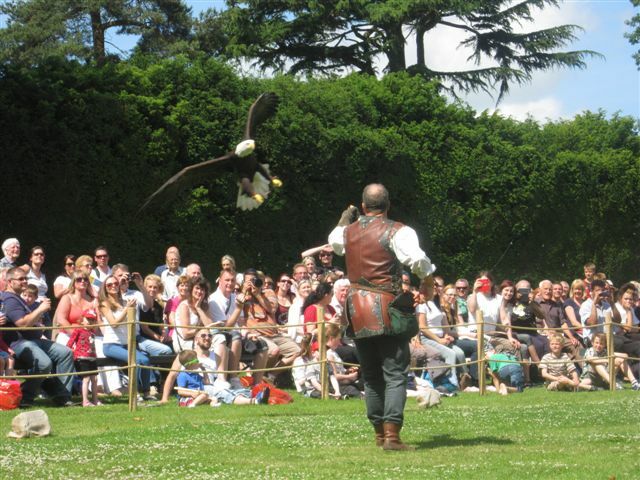 We saw bald eagles and owls flying between the battlements and knights teaching us why metal shields would never have worked before chopping apples held in someones hand! It was thoroughly educational and more importantly… it was alive! 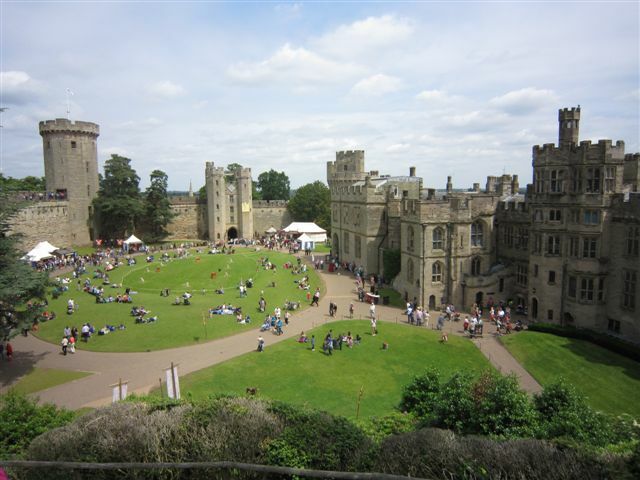 For more information on Warwick Castle and the Mike the Knight event click here. 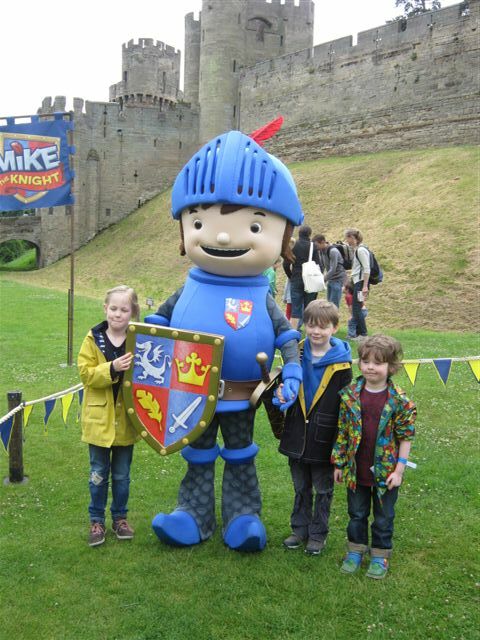 To find out more about Mike the Knight visit his website here. Win 1 of 5 Pairs of Tickets to The Weald Of Kent Summer Craft Show! 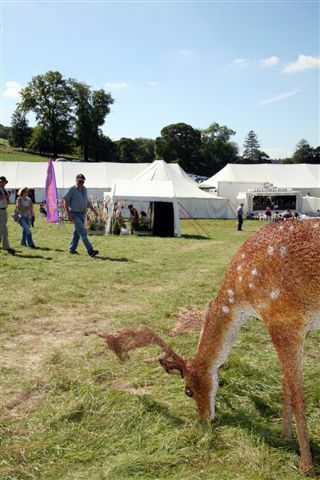 The Weald of Kent craft show is being held this summer at Penshurst Place near Tonbridge between 9 – 11th September. 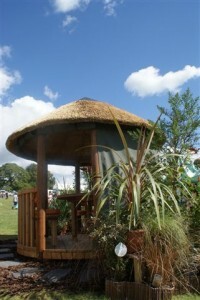 The show offers handmade crafts, delicious food and drink, live music, inspiring displays and a stunning show garden. 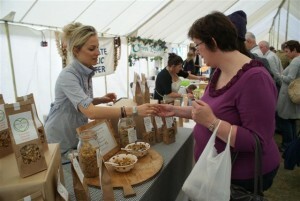 With 200 crafts people from all over the UK there will most definitely be something for everyone and every taste. 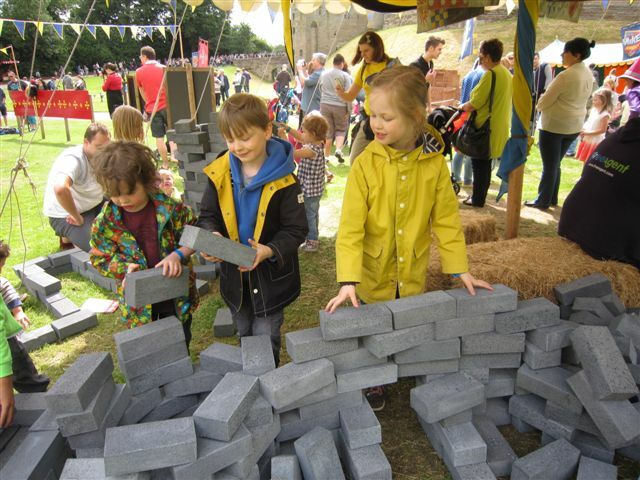 There will also be interactive family craft activities and displays, face painting and rural crafts. 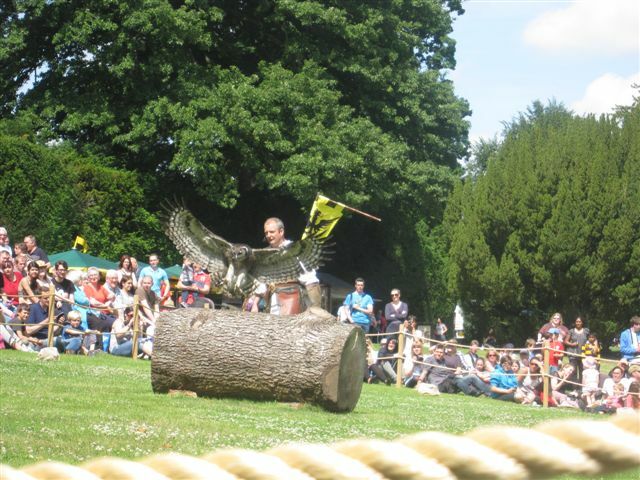 Make sure to pack the camera as there will also be falconry displays courtesy of television presenters Leigh and Jo Holmes from the Hawking Centre, Kent. Now that you’re suitably excited about this amazing event, how about winning one of five pairs of tickets so you can attend for free! 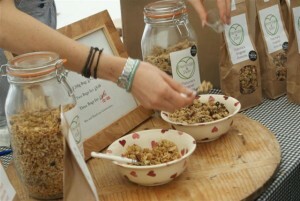 As usual it’s ridiculously easy to enter our comp (open to UK readers this time). 1. Follow this blog publicly (using either Google Friend Connect, Bloglovin or Feedburner on the right) and leave a comment mentioning you are following the blog (current followers need only comment). Remember to leave your email or twitter so I can contact you if you win. The competition will end at midnight 28 August 2011. Win 1 of 5 Pairs of Tickets (each pair of tickets admits up to 2 adults & 2 kids) to The Weald Of Kent Craft Show! 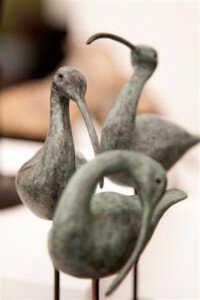 The Weald of Kent craft show is being held this year at Penshurst Place near Tonbridge between 30th April – 2nd May. 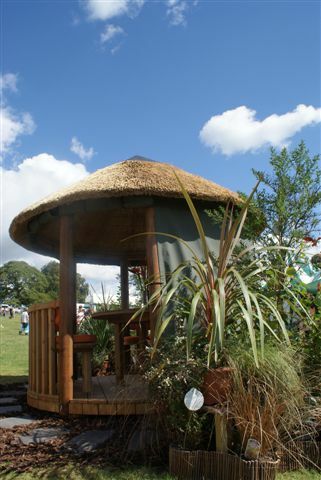 The show offers handmade crafts, delicious food and drink, live music, inspiring displays and a stunning show garden. 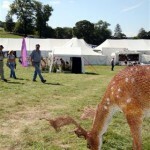 There will be everything from art workshops to tutored wine tasting. There will also be interactive family craft activities, face painting, rural crafts and an adventure playground and falconry displays. 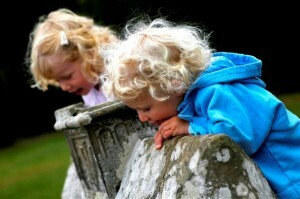 So there promises to be something for all the family whether young or old. Now the exciting part! We have been given 5 pairs of tickets to giveaway. UPDATE: the tickets admit up to 2 adults & 2 children, so whether you’re a family or a couple it’s a great day out! The competition will end at midnight 16th April 2011. If you would like to support Angel Eden by adding our button to your site, please use the code below. Thank you. Copyright 2009 - 2019 Abigail Day - all rights reserved.